Recently I decided to change the URL for one of my websites, this website in fact! It used to be howtovideotutorial.org but I thought that was kind of long and I wanted a .com so I registered tutorialsave.com. Since I wanted to use the same platform (WordPress) and keep all of the content and comments etc. from before I set out performing the following steps. To change the URL for your WordPress site there are two options, you can just change the URL or your can quickly duplicate the site content and associate the new copy with a new URL. This second approach is best because it ensures your site content won’t go down during the transition. Setup a new WordPress site using the new URL. For me this means creating a MySQL database, a folder for the new site, and entering the database username/password in the wp-config.php file. Then I upload all of the WordPress files to my server and run though the setup page. Once the new WordPress site is setup you need to determine your archive settings and everything else to prepare to import your content. This will be really easy if your old site is still online, you can just copy all of the settings from there. 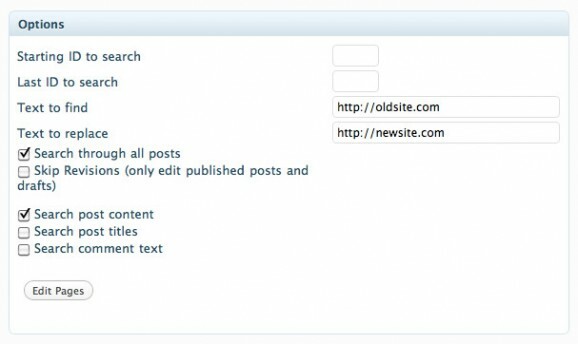 Now you need to copy over the files from the wp-content folder on your old site to the new one, this includes the plugins, themes and uploads folders. So now you’ve got a brand new WordPress site with all the right settings, all of the content, images and URL’s setup perfect! You’re practically done now but wait, there are really two WordPress sites online with the same content now. This is bad for search engines, they will see it as duplicate content and you will get penalized. What you need to do is use a 301 redirect from the old website to the new one to automatically redirect users and search engines. The first line activates mod rewrite, a system that routes http requests, the second line specifies a wildcard rule (. *) that means match everything and save it and then stick that same thing in at $1. Good luck! I know this seems like a lot of steps but the whole thing can be done in just an hour or two and you’ll be off and running with a brand new URL for your WordPress site. If you want to hire me to run through these steps on your site just use the contact form here. This entry was posted on Wednesday, March 23rd, 2011 at 10:10 pm.